The Syneon chip intelligently allocates the energy for every single project, thereby extending the mowing runtime. The mower comes without a battery. 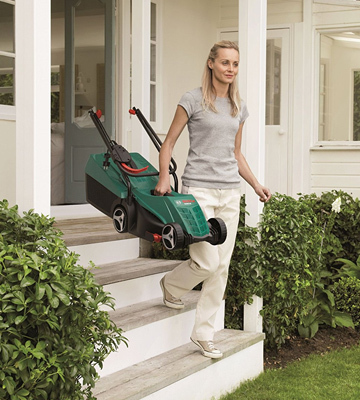 Whether you just want to neatly trim your lawn or have to go into battle against a jungle growing in your yard, the Bosch lawnmower will help you out thanks to its wide coverage, a moderately powerful motor, and a capacious collection bag. 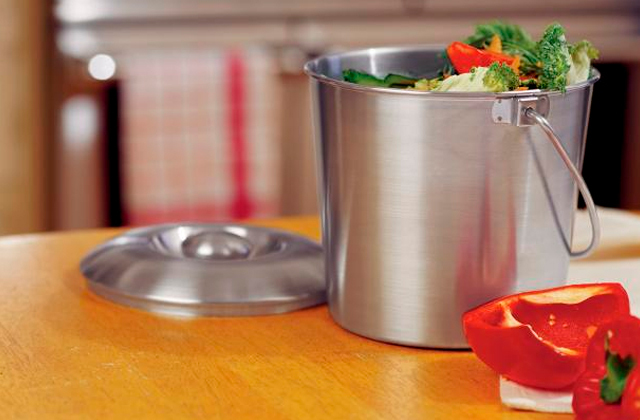 Plus, it's easy to use thanks to the ergonomic handles. Undoubtedly one of the best lawnmowers out there. The One+ battery on this model isn't just powerful, it's also compatible with all other One+ tools so you can swap it out to save money on backup batteries. The cutting bag is not that sturdy. A reasonably priced and efficient model that uses the EasyEdge grass combs to pull in the grass and cover a larger area. You can also choose between 5 height settings to change the look of your lawn as you see fit. It's a great tool for turning your yard into a true work of art. 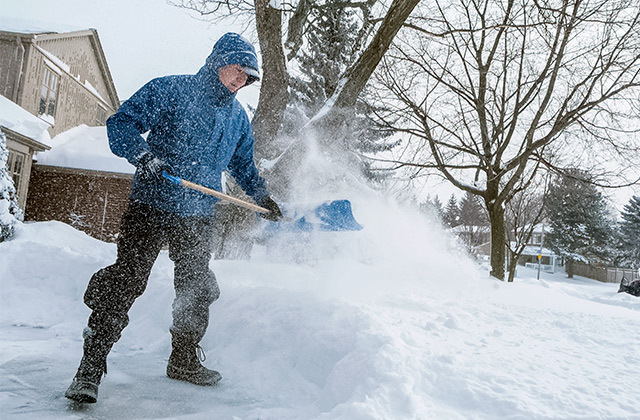 The Bosch PowerDrive motor is protected against overheating and power surges, so your lawnmower will last longer and deliver reliable performance at all times. Some users complain about the handle being uncomfortable. 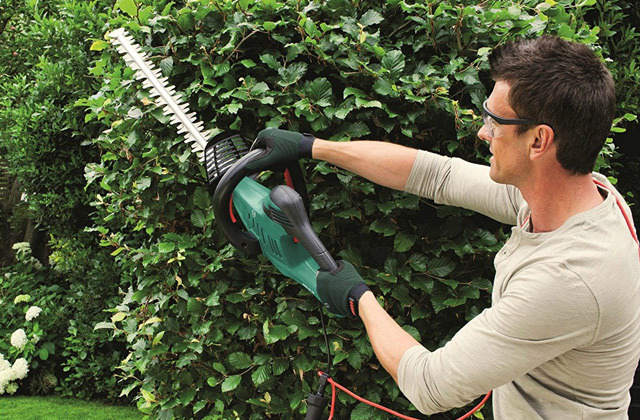 A lightweight corded model that features a powerful Bosch motor protected from overheating, a long cord for hassle-free manoeuvring, and high cutting width for faster mowing. A good choice for those who want a reliable yet inexpensive model. The collection bag is quite huge at 40 l, so you won't need to empty it out too often. The coating on the wheels wears off over time, breaking surface traction. The powerful 1500 W motor and a 40-l collection bag make this model perfect for large lawns and fast mowing, though the wheels do seem to wear down over time and might require replacing. Still, it's an affordable and high-power model so this shortcoming can be forgiven. The mowing deck is wider than the wheels and thus provides clean cutting of grass along walls, fences, and other obstacles. It may be tough to fixate the cutting bag at first. The owners of corded lawn mowers often face the problem of a power cord being not long enough to cover the entire lawn. 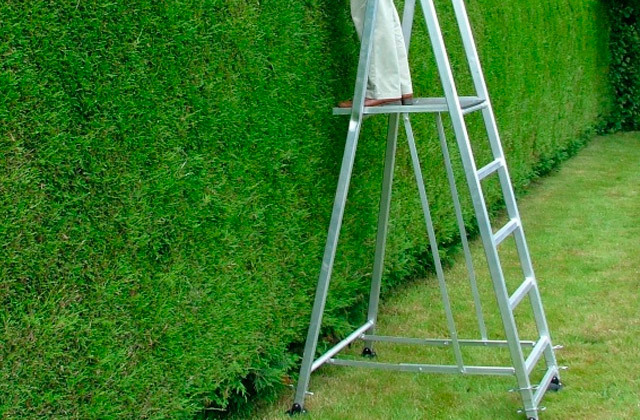 Plus, the cable may get tangled in your way, get stuck in trees or bushes, or even get sheared by the mower's blades. If you’ve experienced that kind of problem and you would like to avoid it henceforth, the Rotak 32 LI by Bosch is the exact lawn mower you should look at. 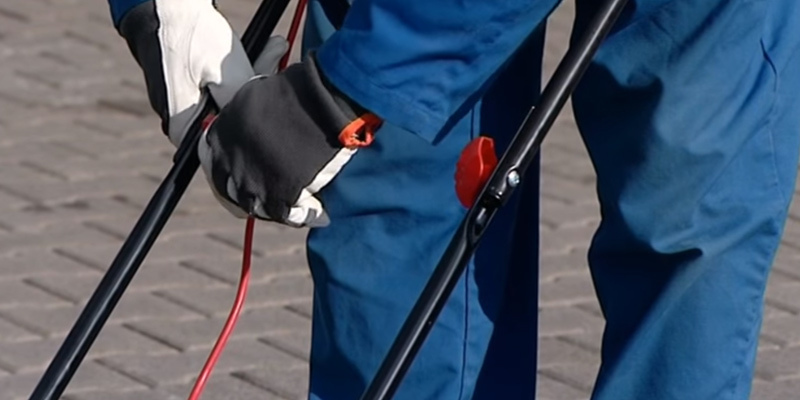 Having got this machine, you won't be bound by wiring and will manage to trim your yard without thinking of cords. The battery will suffice to mow above 30 sq. m, so this mower can cover pretty big land lots. In addition to such excellent performance, the Bosch Rotak 32 delivers comfort in use. In particular, we like that the Ergoflex handles have a non-slip coating that provides a firm grip. Thanks to this, the handle is unlikely to chafe or slip out of wet hands even if you hold it for extended periods of time. Also, we like that the Bosch Rotak 32 has a double switch that allows you the option to operate the mower with vertical and horizontal grip, as you prefer. Finally, we'd be remiss not to mention a special plastic key that comes included with the mower that allows starting a machine with a quick movement of hand. Though this might seem like a small detail, it brings more comfort in use by eliminating the need for you to press other buttons. 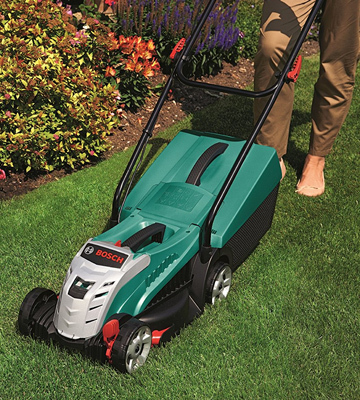 With the Bosch Rotak 32 LI you won’t ever have to worry about your lawn care being interrupted by the need to empty out the grass collection bag as the mower has a 31 l bag, enough for several cutting sessions. The Bosch Rotak 32 LI offers 3 cutting height positions, another feature that’s sure to please those that don’t want to mow their lawn all that often. 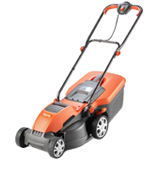 This model can trim a well-kept lawn with grass blades as tall as 30 mm or cut the wildest patch with grass around 60 mm. And lawn maintenance will be even easier thanks to the 32 cm cutting width, covering a larger area with each pass of the mower. However, even if you do have a jungle instead of a lawn and dread the idea of spending hours on it, the Bosch Rotak 32 LI still has a little boost to offer. 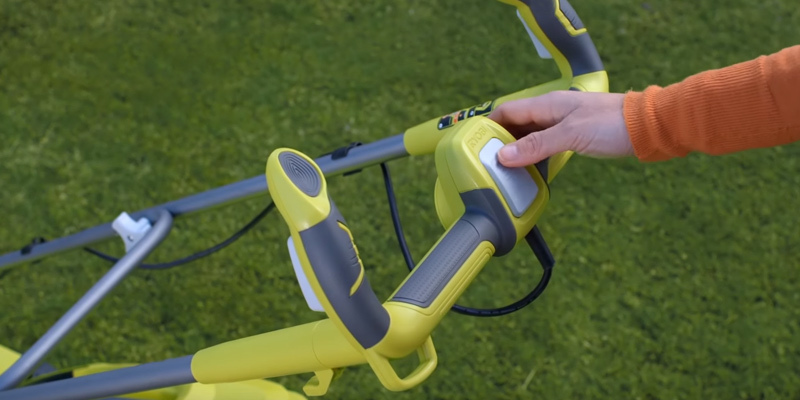 The Syneon Chip built into this mower extends the runtime so you won’t have to take a pause in the middle of cleanup just to recharge the device. As you can see, the Bosch Rotak 32 LI has few flaws, with the need to purchase the battery separately being the key one. It’s also not the lightest device of its kind but the Ergoflex handles make this mower easier to move around. 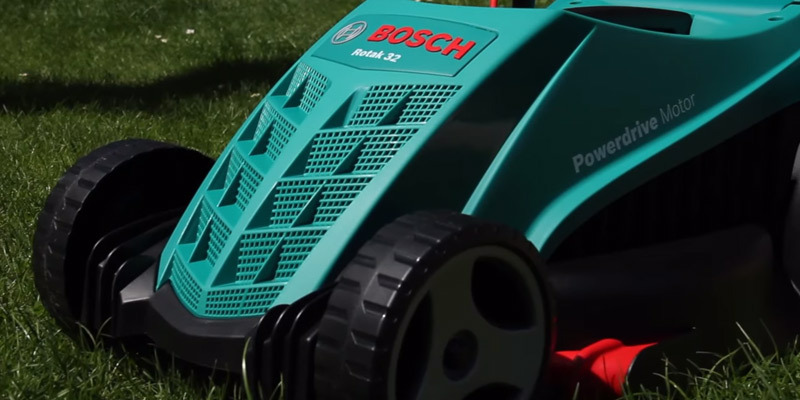 Still, the flaws aren’t that great and the power provided by the Bosch Rotak 32 LI is sure to make mowing a breeze. 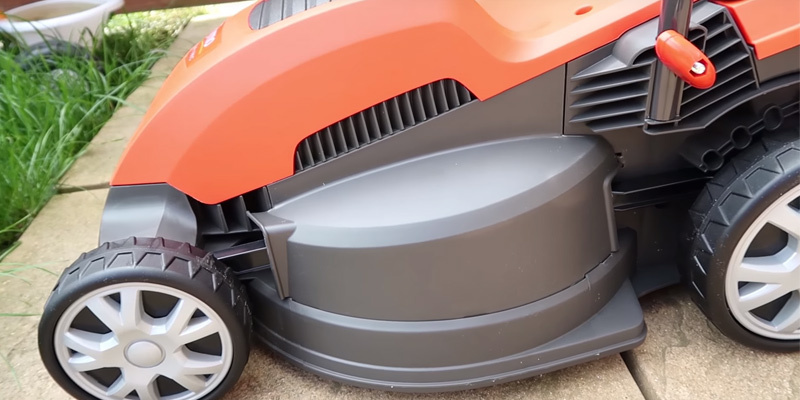 Turn lawn care from a chore into a simple task with this high-capacity machine! 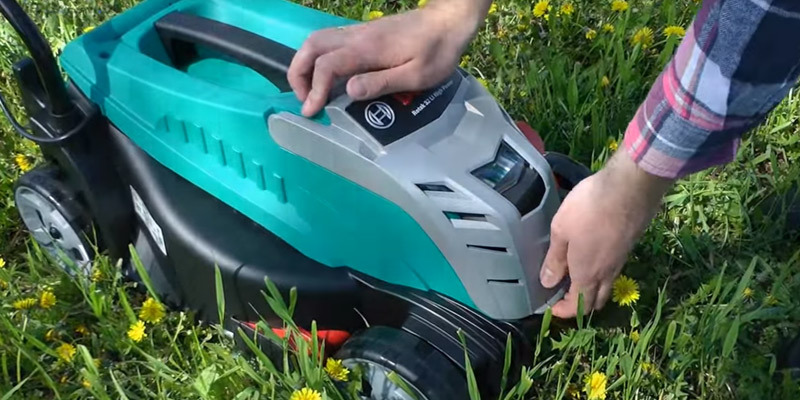 Want a well-designed lawnmower that can cut through the messiest patch of grass and won’t take up much space in the tool shed? It may seem like too much to ask and yet the Ryobi OLM1833H ONE+ fits these demands to a tee. Even on your first go on this lawnmower, you’ll likely notice how long the specially designed One+ battery lasts. Moreover, if you have any other One+ tools, you can swap out the battery between them, saving money and storage space. In terms of convenience, the Ryobi OLM1833H ONE+ offers an EasyEdge grass comb feature so you can safely navigate around flower beds and such. The combs will pull in blades of grass from the sides directly under the mower to be cut, keeping the device clear of plants and flowers that you want to leave untouched. 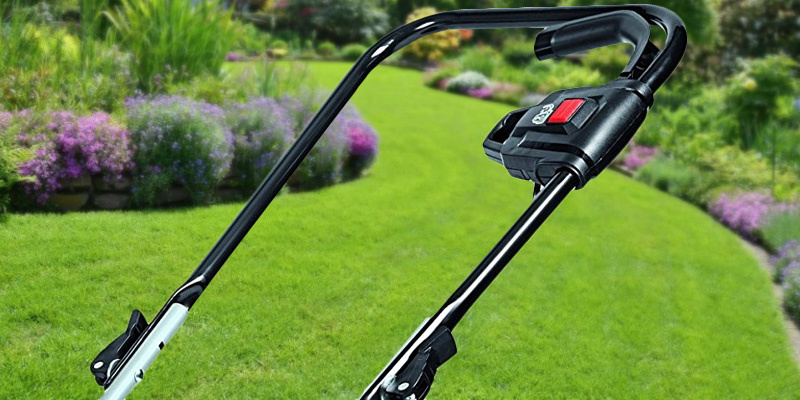 You’ll also find it easy to move the mower around despite the 10.5 kg weight, all thanks to the adjustable handle that you can move into 5 different positions depending on how tall you are. That will definitely make it easier to push this chore onto your kids while you take care of more important things. Plus, the handle is collapsible so the lawnmower takes up less space while in storage, kind of important considering how big some models tend to be. 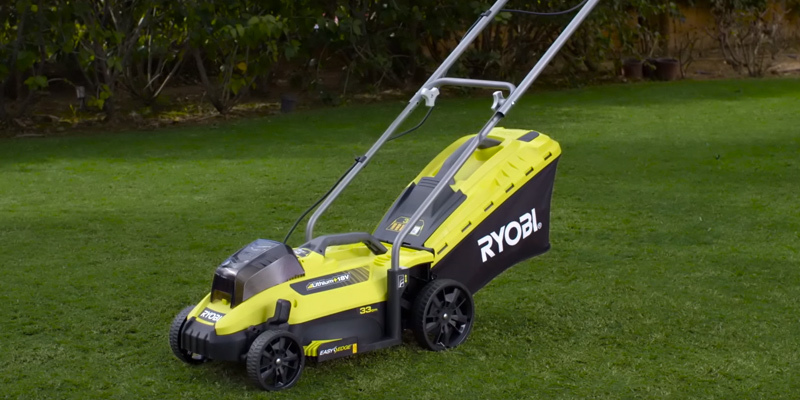 No matter how easy your lawnmower is to move around, the process of cutting your lawn will always be a chore so the Ryobi OLM1833H ONE+ tries to make it easy on you as possible. For example, the cutting width on this model is 33 cm, definitely up there among the competition. After all, the wider the cutting area is, the faster you can cover your whole lawn. Of course, the height of the cuts is not too modest either. In fact, the Ryobi OLM1833H ONE+ reaches higher than most models out there, going as far up as 76 mm. We’d hope that your lawn is well-kept and you won’t need to choose that particular setting but who knows? Plus, you can go as low as 25 mm, choosing between 5 height positions to make sure that your lawn looks exactly the way you want it. One of the few shortcomings that’s important to mention is the cutting bag material. It’s not exactly flimsy but you have to be careful not to get anything aside from grass into the bag or it might tear. Plus, we’d advise against keeping the bag at its 35 l capacity. Try to empty it out frequently to extend its durability. Overall, the Ryobi OLM1833H ONE+ is definitely one of the more reliable and efficient lawnmowers out there and a perfect choice for those that prefer their devices to be well-designed as well as powerful. 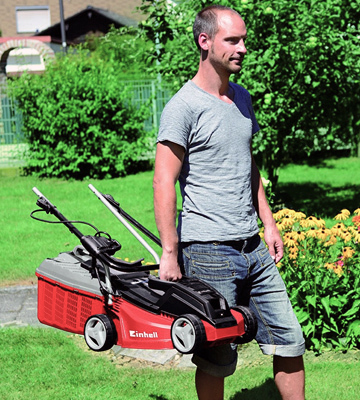 Need a truly powerful lawnmower that won’t overheat even in the middle of a sweltering summer? You’ve come to the right page because the Bosch Rotak 32R is designed to work as long as you want without breaking or losing its efficiency. That remarkable endurance is achieved thanks to the PowerDrive system in the trusty Bosch motor. The system is designed for long-term operation without overheating so you can go for hours, cutting grass all over even the biggest lawn. Plus, it also protects the lawnmower from power surges and outages. On the surface, the Bosch Rotak 32R is quite similar to many other models, in particular, the Bosch Rotak 32 LI, a wireless and less powerful analogue. However, its power cord is no restriction thanks to the 10-metre length and the price of this model is lower since the whole world has started to prefer wireless devices, even if they come with some flaws. 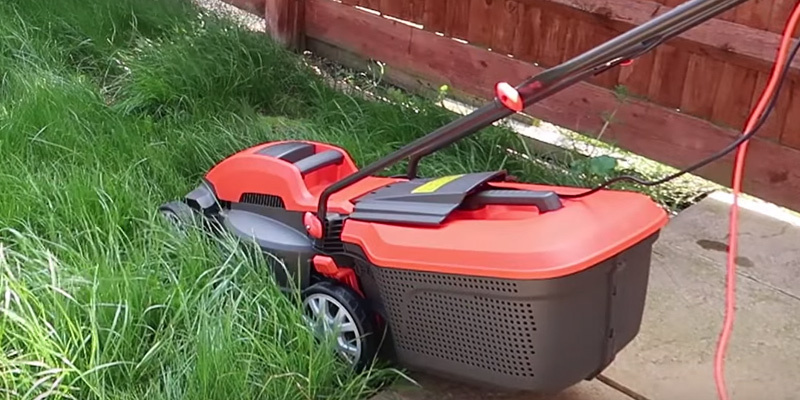 Some users have complained that the manual isn’t very helpful but a lawnmower isn’t exactly a complicated device and changing settings or turning the mower on and off should be easy enough without lengthy instructions. You might only need them to put the Bosch Rotak 32R together, which should take no longer than 15 minutes. Aside from the aforementioned stand-out features, the Bosch Rotak 32R offers reliable cutting quality with a respectable width of 32 cm. Realistically, though, the lawnmower covers a bit more than that thanks to the grass combs that pull blades in from the side. This makes cutting around flower patches and gardens much easier since you no longer risk accidentally mowing down your favorite petunias. You can also switch between 3 height positions from 20 to 60 mm, depending on how you want your lawn to look. The Bosch Rotak 32R weighs just 6.8 kg and is thus quite easy to move around. That is if the handle feels comfortable to you as some users seem to dislike its design. Of course, that’s just a matter of taste and impossible to predict but if we can say one thing about this handle it’s that it’s easy to fold away, simplifying the storage greatly. This model is also equipped with a 31 l collection bag for grass clippings so the mower doesn’t leave behind any cuttings. The bag itself is quite sturdy and won’t tear even if it’s full up. 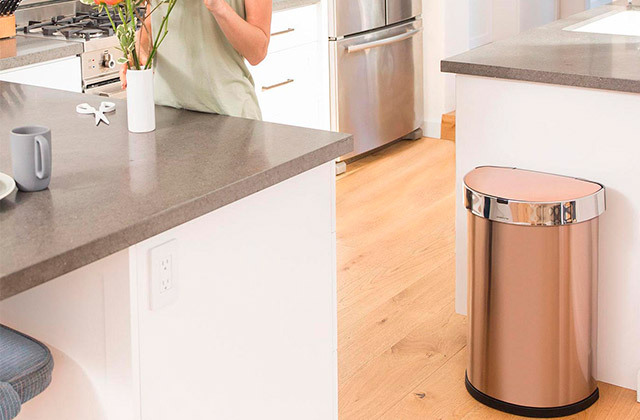 To sum up, the Bosch Rotak 32R combines efficiency and reliability thanks to a most powerful motor with security measures and a variety of cutting settings. 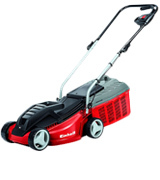 You can’t go wrong with a brand-name Bosch mower and this is certainly one of the best in the line-up. 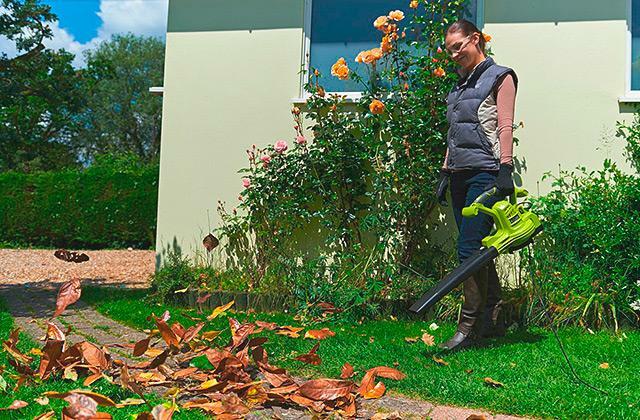 Got yourself a big unkempt lawn and already know that you won’t be able to groom it properly without the help of an electric rotary lawn mower? Don’t fret, you can always rely on the Flymo Speedi-MO 360C, a lawnmower designed to deal with big grass patches. This model is equipped with a huge 40 l collection bag, sturdy and capacious. You won’t have to stop in the middle of the mowing session to empty out the bag, saving time and effort. In addition, the Flymo Speedi-MO 360C also uses a special technique to compact the cut grass, making it easier to clean it out of the bag. Of course, having a larger collection bag is nice but it also means that the Flymo Speedi-MO 360C weighs a bit more than some of its competitors. 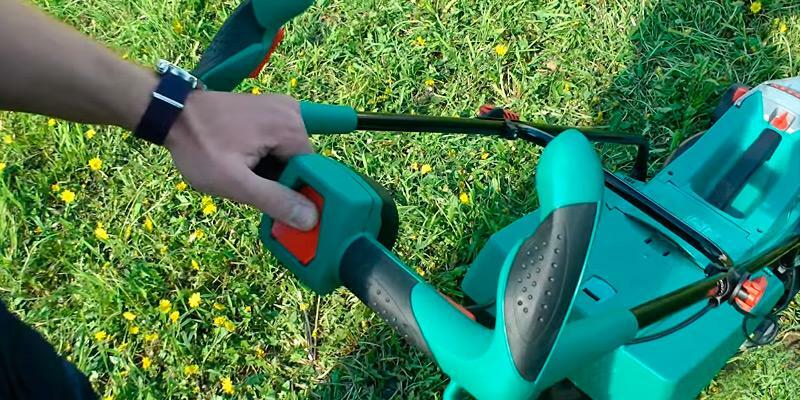 While the 11.5 kg weight isn’t exactly all that heavy, that couple of additional kilograms does make the lawnmower more difficult to manoeuvre and, due to that, we don’t recommend leaving the lawn care to your kids. You’ll be pleased to know, though, that the Flymo Speedi-MO 360C is quite easy to store due to its foldable design. 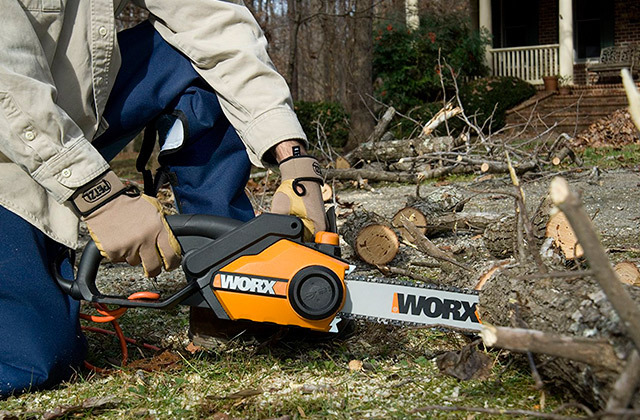 The handle of this model is collapsible and retracts right into the body of the mower, making it easier to roll under a table or store in the tool shed. It also has a special carrying handle to simplify transportation but the relatively high weight means that some users may still struggle to move the device. If there’s one thing that justifies higher weight in this Flymo electric lawn mower it’s the ultra-powerful 1500 W motor, designed specifically to handle long operation at a maximum load level. You can glide across your lawn with the Speedi-MO 360C and leave a nice trail of cut grass in your steps. We do have to point out that a more powerful motor also means more noise and higher energy consumption but the former issue is common to all lawnmowers (as your neighbours will likely testify) and the raised consumption is outweighed by the more efficient operation. 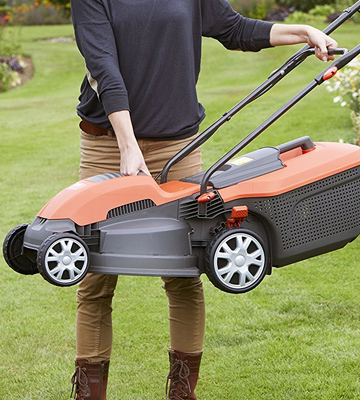 While we’re on the subject of power, the 36 cm cutting width is certainly up there, providing a bigger coverage area even on a single pass of your lawnmower. We do wish it was coupled with a grass comb function so the Flymo device could cut even more in a single sweep. But even as is, it’s quite an impressive characteristic, great for large lawns. The 12-metre power cord won’t restrict your movement as you drive the Flymo mower across the lawn but we recommend taking good care of the wheels since they tend to lose their coating over time. After a year or so of use, you might notice the lawnmower skidding on wet grass or having trouble moving over gravel paths, all because the wheels have been worn out. It’s a preventable issue and good wheel maintenance is key if you want your lawnmower to serve you longer. Despite the aforementioned flaws, it’s hard to argue that the Flymo Speedi-MO 360C is one of the best models out there and is overall a good electric mower. It’s powerful, compact, and efficient, and we can safely recommend it to anyone that isn’t averse to pushing around a heavier mower if it means getting a prettier lawn. Those with an intricately designed garden and flower beds on their lawn and in their backyard know the pain of manually cleaning up uncut grass around the plants since you can’t use a lawnmower for fear of damaging the plants or rolling over them with the wheels. However, the Einhell GE-EM 1233 may just be the best lawn mower for small garden maintenance, all thanks to several smart design decisions. 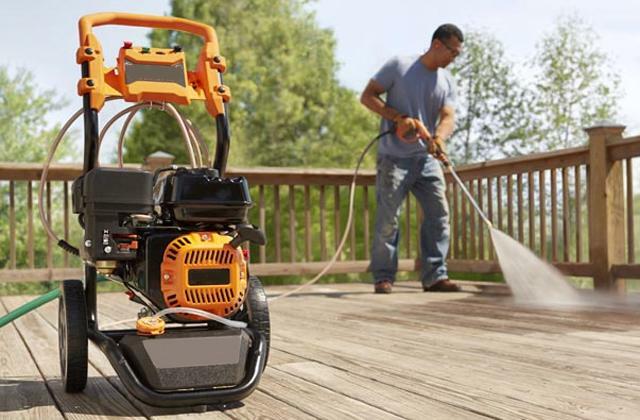 First off, the mowing deck on this model is wider than the wheels, specifically to make mowing near walls, fences, and restricted areas easier. You can cut grass right around the flowers without so much as touching the precious plants. 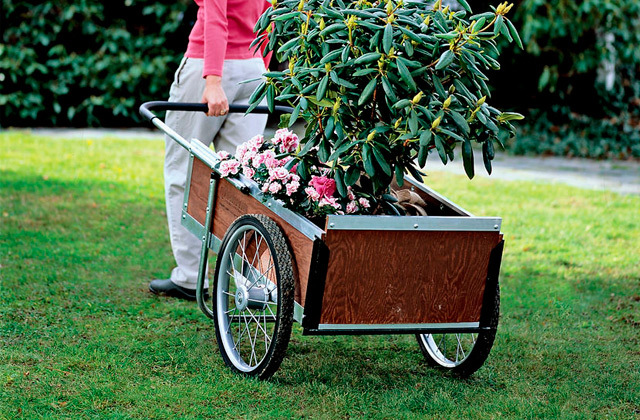 This kind of manoeuvrability is perfect for smaller spaces, especially since it doesn’t come at the expense of efficiency. While we’re on the subject of manoeuvrability, even though the Einhell GE-EM 1233 is a corded model, the 10-meter power cable should be more than enough to move around your yard comfortably. The lawnmower does weigh 11.1 kg so the longer you use it, the harder it will be but the handle’s ergonomic design does make it a bit easier. Besides, the weight is more than justified by the capacious 30 l collection bag, which you won’t have to empty out in the middle of a mowing session. No lawnmower could be complete without a good cutting system though, since good design may be important but efficient mowing is still key. Luckily, the Einhell GE-EM 1233 has quite a bit to offer. 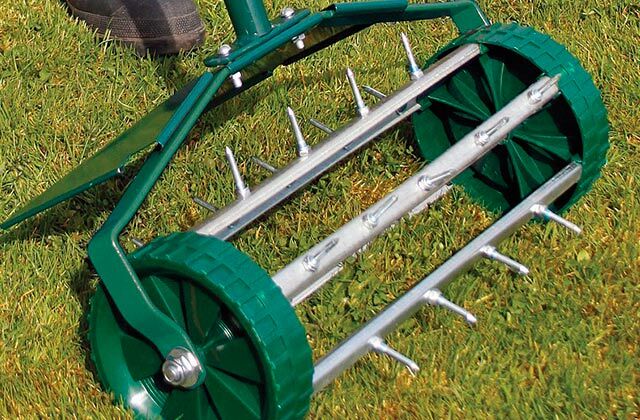 The cutting width on this model is 33 cm, up to par with more expensive competitors, though we do wish the device had grass combs to expand the coverage area and make it more effective at collecting grass cuttings. 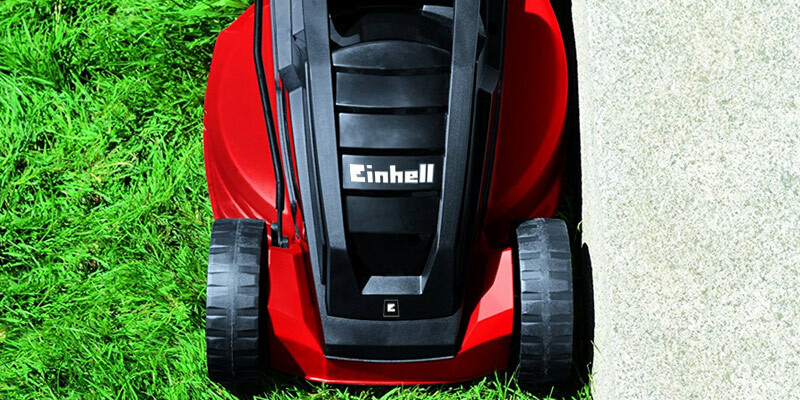 If you want to trim your lawn really low, you’ll be happy to know that the Einhell GE-EM 1233 offers 5 height options between 20 and 60 mm, so you can keep the grass a bit taller than usual or cut it down to a little carpet of sorts. While we have indeed touted the great design of this model, it does have one important flaw. The collection bag may be a bit tough to fixate in place initially and, if not placed properly, it may fail to collect the clippings and your mower would leave a trail of cut grass in its wake. Give it several trial runs before you start mowing unless you want to end up with a yard full of grass clippings. Still, one measly shortcoming is not enough to deter us from liking the Einhell GE-EM 1233. 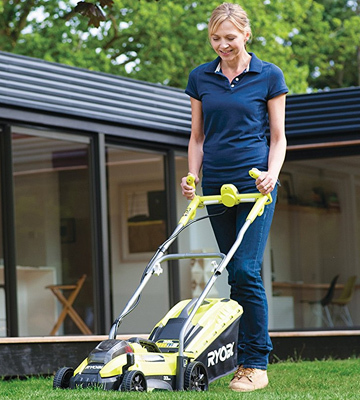 It’s manoeuvrable, well-designed, and efficient, all the things we look for in a lawnmower. A few improvements here and there and this could certainly be called one of the best electric lawn mower models out there. Every house owner desires to have a flawless lawn and often applies a lot of efforts for that. However, cutting grass in your yard can be a real chore and take up the better part of the morning so we're always looking for ways to simplify it. 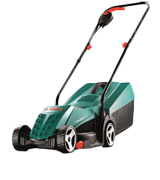 Electric lawn mowers facilitate this complex task and make lawns neat. There are a wide variety of lawn mowers, yet electric models are one of the simplest and the most effective. They are absolutely harmless for the environment; they are quiet and lightweight. Hence, they can be used virtually by anyone, beginners and professionals alike. Of course, it all depends on the model you choose but most of these are pretty high-power and thus more efficient than a gas model or even a robotic one. You can choose between a battery-powered or a corded model, depending on how large your lawn is and how often you cut it. We have reviewed 5 most effective and widespread models and highlighted the features to pay attention to. If you own a large lawn of an acre or more, look at riding lawn mowers and our review of gas lawn mowers designed for effective mowing of bigger areas that won't be covered by a basic push model. 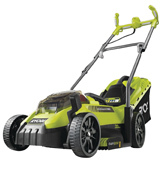 When you choose an electric lawn mower, you need to determine the place and the way of use. These parameters will affect the type of a lawn mower. If you have a big lawn with an access to a power supply, it is better to choose an electric model. The electric lawn mowers are highly powerful and are able to work for a long time as the length of power cord is the only limit. But even this problem can be easily solved through the use of extenders. If you have a small land plot without a source of power supply, you should pay attention to battery-powered models. They are able to process the areas up to 0.25 acres and work for 45 minutes; those figures depend on battery capacity and load. Note that an additional battery can always increase the performance. When you choose a battery-powered model, you should consider that its power is less than that of electric models, but, still, it is self-sufficient and is not bound by a power cord. You should necessarily consider performance of a mower. First of all, determine the cutting width as it will affect the number of sweeps on your lawn. The bigger the cutting width is, the quicker the mowing will be. However, if you have a small lawn of intricate landscaping with plenty of pits and obstacles, it is better to opt for a narrow lawn mower since it is more maneuverable and suitable for this purpose. The cutting height adjustment will let you set the needed height of a cutting deck for specific grass. Our next advice is to consider the cutting modes. 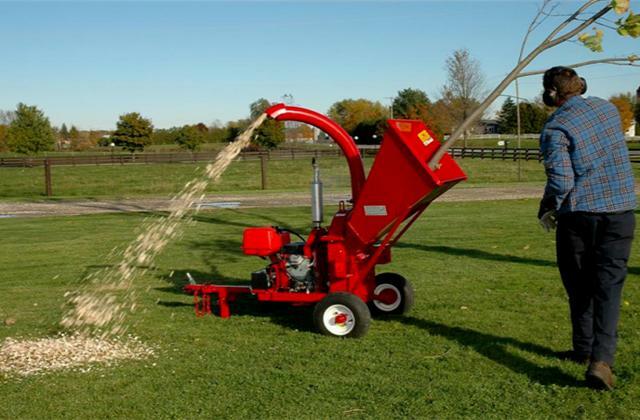 The bagging mode will release you from the need to collect grass by hands, and the mulching mode will allow for fine grinding of grass and fertilizing the ground, maintaining the right humidity at the same time. Surely, you have to take an interest in additional functions that contribute to usability and facilitate the storage. The capacity of a grass collection bag will be vital for the frequency of cleaning. The adjustability of a handle will let you tailor its height to your needs, and foldable design will give you an opportunity to store the tool conveniently. The battery charge indicator will let you know when you should charge the battery. Besides, don’t forget to specify the weight as the light models are easier to push, yet the heavier models are more stable on rough surfaces and they provide more precise cutting. To sum it all up, a simplicity of maintenance will give you an opportunity to work effectively. 2. 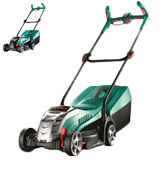 Adelaide Gray How to buy the best lawn mower, Which? 3. Jennifer Noonan Is an Electric Lawn Mower Right for You? Bob Vila. 4. Lawn mower, Wikipedia. February 24, 2017. 5. How to Buy a Lawn Mower, wikiHow.